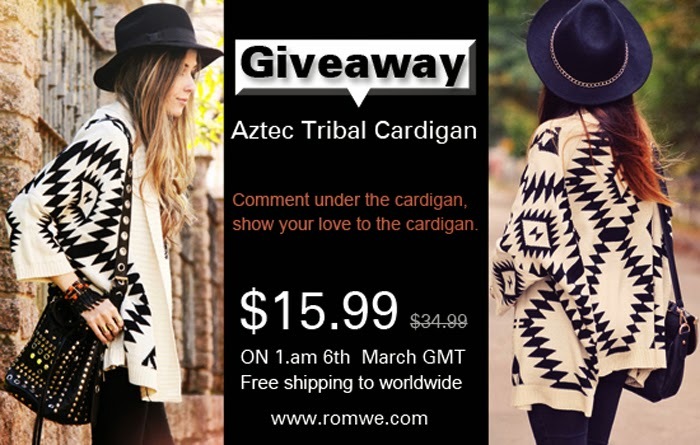 ROMWE's Aztec Tribal Cardigan Giveaway! Aaaand, here's another exciting giveaway brought to you by ROMWE! ;) This is such a pretty piece that you wouldn't want to miss this. P.S. You could also buy this cardigan for just $15.99 on March 6! Save 54%. Ships in 24 hours. Happy Shopping!